Thieves Guild is practically no different from other guilds, except that its members are thieves, robbers, pickpockets, smugglers and other criminals. However, according to the unwritten code of the Thieves Guild, murder is always considered to be inefficient, clumsy and unproductive way to solve problems. 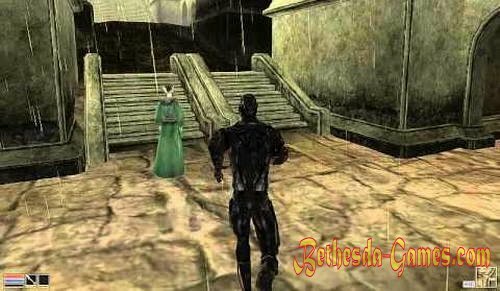 In the Empire Thieves Guild has long existed and has a huge impact, but here in Morrowind, the Guild has not yet had time to get to his feet. Affairs underworld syndicate runs here since ancient times called Camon Tong. 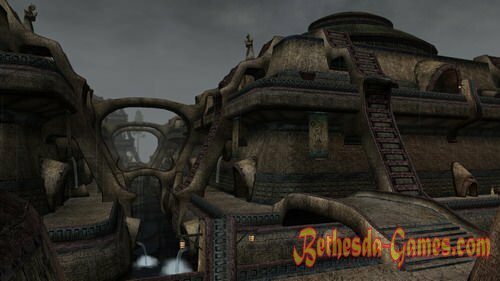 Kamon Tong hates new competitors and making every effort to destroy the Thieves' Guild at an early stage of its development in Morrowind. There are no special Thieves Guild meeting rooms, but they prefer to use certain places for their meetings - usually a restaurant or tavern - in large cities. Influential members of the guild can be found in Balmora, Ald'ruhn, Sadrith Sea and in the Quarter Strangers in Vivec. Just remember that "there" Honor Among Thieves. Do not steal my brother thief and not to attack his brother-thief. With the rest of you can do as you please. Consisting in the guild can use the lessons of the masters, buy items thieves equipment, as well as to settle matters with the reward for his head for half-price, and leaving all the Money Stolen. Sweet Habas gives the task to steal a diamond for her friend. Diamond (in the amount of three pieces) lies in the trunk in the house Nalkarii of White Haven - alchemist. As the trunk is on the second floor of a deserted, the job is not worth a damn. For the work to get exclusive invisibility potion and proceeds from the sale of the remaining two diamonds. Habas need a key from the estate of Nerano. The key there is the owner of the estate, Ondresa Nerano, and his servants Sovora Trandela Club Council. Accordingly, the key can be: steal one or the other; removed from the Cold-corpse (but note that Habas will not like); convince servant voluntarily give key (ratio> or = 70). For pure load case Habas pay you 500 Drake. Khajiit named Ra'Zhid stole from the guild Dwemer artifacts. Habas Requests visit mischievous and return the artifacts to the guild. Ra'Zhid, as one would expect from a Khajiit with a name, would not be recognized that the artifacts are still at it, so you have to remove them without his consent. However, you can leave it alone and find everything listed Habas, in Dwemer ruins - and so it will be happy and snadbit you some of my tools (namely, a master key master, 2 probes mercenaries and mercenary hammer). Now Habas need a bottle of aged brandy from the estate Ralena Hlaalo. To get into the locked house on all sides (unless you broke there before) better through the second floor - less likely to be noticed. Bottle there in the closet upstairs. For it Habas gladly pay 1000 Drake. One of the members of the Guild, Bragora new shoes, got into trouble. Sweet send you to rescue the hapless Pelagiad Bosmer from prison. However, it must be done in such a way to make it look legitimate - Bragora refuses to escape. According to Habas, orc Shabdak Gras-Burbug from Fort takes bribes contraband goods from a trader named Mebestian. You need to buy or steal Mebestiana dvemerskiy coherer, to go with him to try and catch Shabdak her on the recognition that by using blackmail free Bragora. He will offer you to celebrate their shoes, and Habas will award in 1000 for his work drakes. South Wall threatens another raid Kamon Tong. To better protect your stash, Habas asks you to find a specialist in locks and traps. All she knows - he Altmer and lives in Balmora. Received from any Altmeri Altmeri list of all the city and a little searching, this specialist is easy to calculate. This - Heserind living on the eastern waterfront Ōdai, ​​Mie in the northernmost house. Talk to him about South Wall and return to Habas report on the last job and get free remission of all sins, that is, the price for his head, whatever it may be. To drive the Aengot Jeweller ask you to bring him tanto Damn Anarerena of the Mages Guild Ald-Rune. After taking that job, and until his execution Mages Guild will be empty - but they will be smart enough to drop off guard. His fate is entirely in your hands, you can kill, you can ignore. Anyway, you need to pick tanto. And this thing appears in the trunk on the top shelf, where usually costs Altmer alchemist Anarenen (niche on the ground floor, to the right after descending the stairs). For his work will get all that you can drag from the Guild in addition to the notorious bonus. If you plan to work on Aengota on, grab and save the book "Vizershins" from the school library guild. The next task - to bring Aengotu Redoran Master Helm. This helmet can be found either in the bedroom closet on Arobara Miner (estate Arobar under-Scar, Ald-Rhun) or in a chest in the bedroom Fatasy Lletri (estate Lletri under-Scar, Ald-Rhun). In both cases, will need skill, as are a number of witnesses. The award for excellence is 1000 Drake. Now jeweler will send you for compromising on Gandozu Arobar. In the chest in her bedroom has a book, "In bed with Boétie" that might suggest ambiguous thoughts. Go to the estate Arobar under-Scar and bring Aengotu booklet. It would be easy to get, because Gandoza usually costs so that the desired closed chest from her screens. The next thing that you will need Aengotu will book "Vizershins." If you do not have (or do not want to take) it to the Mages Guild Ald-Rune, in addition to the said Bosmer instance Milies Gloriozusa in Maar Gan (Anduze inn), it can be found in the ancestral tomb Alas and Llaalama Madalasa in Sadr Sea. However, sell or give it to you no one will, so once again have to prove that you knowingly belong to the Guild. It is still possible that the book gets into your accident during his travels, but especially hope it's not worth it. Upon completion of the job will get another thousand Drake. Good news: The Guild has got hold of a couple of Dwemer spiders centurions. All though it was wonderful, that's just they do not work. Your colleague Guild Mokrouh Estoril could fix them if she had several pieces of Dwemer metal. It is for this iron, in an amount of four pieces, you and send Aengot. Find them no problem - Dwemer ruins, alchemists, etc. For each piece of Aengot pay 250 Drake. The last task of Goldsmith will bring Arrows Justice - unique darts from Vallenvuda belonging Eyndel, bosmerskoy Strážnice estate Lletri. All four dart quietly lying on her bed in the premises of the guards of the house, which, if not forgotten, is under-Scar. Runs around the patrol redoranskih guards, but to seize the moment and grab a couple of darts is more than real. To complete the quest will be enough even one. You can sell them at cost Aengotu (500 drakes each) or keep. In any case, the task will close and traditionally good-bye free cleanse your good (or not so good) name. The first task of the Great Helenda will get a recipe for a potion deflation. Treasured piece of paper is in a chest at the local alhimichki Anise Selot. The recipe must be delivered Altmeri named Tusamirkil in Wolverine Hall Mages Guild. A quest Helenda gives 500 coins. One customer wanted Guild neither more nor less - Grandmaster retort. 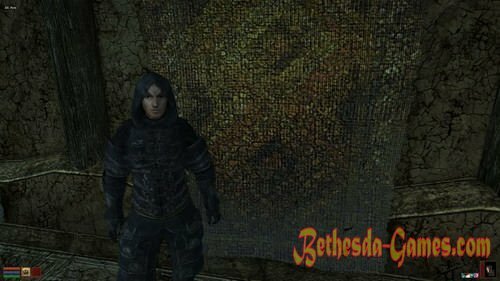 Besides the mentioned Helenda Bervi store in Tel Sea, it can be found in the arched hall Valenvariona, in the service tower of Tel Vos, in Daynali Dren at the bottom of the tower of Tel Mora and Abella Hriditte all in the same arched hall Valenvariona and accidentally stumble somewhere else. If you play with the Tribunal, the retort can get in a magic store in Mournhold. For his work will get practically nothing - 200 gold. To protect Auberge Muriel requires skilled magician. After receiving a task, talk to Ariel Finkel in Wolverine Hall Mages Guild. She will ask you to get 4 pieces of hard rubber as a fee for this service. Ebonite can get in many places, including the dwarven ruins, ebony shaft, alchemists and some Dunmeri home. More of a problem, as is the case with scraps of metal, will bring heavy goods. Upon receipt of the order Finkel went to Muriel battle mage, that you will encounter on the stairs restaurant, going to Helenda a report. That will reward you for your efforts Cruel ring fragments. Now Helenda need a book "Secrets Redoranskoy cuisine" for Lights. The book can get in only one place - the familiar estate Lletri in private quarters, where she peacefully rests in the chest Dinars - rival Lights on culinary competitions. Chest is located in the foot of her bed in a completely empty room, so the job is a cakewalk. For bringing booklet will get quality Potion Shadow. The last task of Helenda - more on sporting interest. She will ask you to steal a nominal wizard's staff Telvani Felena Marion, especially not hoping for results. You may refuse the job, if you think it unworthy or too complicated. Upon receipt of the consent Helenda provide you levitation potions in case you can not fly. Velen lives in the tower of Tel Branora serving Mrs. Teran. If you, despite all the doubts Helenda be able to crank it a small business, you can either give her staff for their share of 250 coins, or leave a souvenir. In any case, the job is done, and you will get as a souvenir. and forgiveness of all debts. Superfamily Taran, a member of the Guild, disappeared without a trace. Jim asks you to investigate this case and bring him the key that Knudsen had to get. Ask around about, know where this kid lives, and with whom he communicated the last time he was seen. At home he find a dead body from which the ill-fated select key. Now you can immediately go to Jim, and if you wish, you can avenge the death of "brother." Go to the "elven people" in the settlement Hlaalu and talk to Arvamoy Ratri - the same young lady, with whom he was last seen. Accuse her of murder, after which she pounced on us, thereby eliminating the criminal responsibility for her death. In this scenario, we get 1000 from Jim Drake, if you have decided not to mess with Arvamoy, only 500. Jim decides to launch a campaign against the top of the Fighters Guild, sell Kamon Tong. First, he asks you to agree with Pertsiusom Mertsiusom, a former guild master and trustworthy person about joint action against Szhoringa cruel and his minions. It's simple, go to Ald-Rhun, talk with Pertsiusom (you may need it slightly poulamyvat if it is relevant to you is less than 60), we obtain information about Hrundi Aydis and fiery eyes and can report to Jim. As a reward we get 500 Drake and the next job. So, after what we have learned, it is time taken for processing renegades. Jim asks get bitter cup, and with the help of bribe Aydis fiery eyes. The bowl is in the tower Ald Redaynii, one of the northern islands of Vvardenfell. If you find the cup before taking the quest and drank, then help in this quest can only console. Now you can give the cup Aydis and report, or drink it yourself and go to Stacy confess to the crime. For the successful execution of the job will get lockpick Grandmaster from Jim. Next in line - Hrundi, curator of the department of the Fighters Guild in Wolverine Hall, Sadrith Mora. He is generally a good guy, and must agree to help and so, but if you can not afford to charm Nordling 80 relationship is possible to ask around about the woman Hrundi. Step by step, you will find that it is - Falena Hlaren, dark elf. Now you can blackmail Hrundi this fact and still convince to side with the Thieves Guild. Now you need to remove the two top performers Kamon Tong - Neville and Ranesa Yenitov. They hide in a villa Orvasa Dren Dren plantation in the basement. Basement is well locked and "mined", but there quietly break should not be the most important task for the mother. Upon his return get Shadow ring shape. The final mission - out of the way corrupt leader Fighters Guild Szhoringa cruel. Go to the Fighters Guild Vivek and finish with the usurper. For the fulfillment of the mission will reward you Jim skeleton key and let slip the last task - to take care of the guild. If you are not worth a plug-GFM, talk about this work at once, on the spot! If you miss the point and leave the room, Jim, you'll never see, and with it the rank of Master of Business. There is a legend about 'Men firestone' that carried the light of justice on earth. Although Ball Molagmery were thieves, they stole only unjust and gave stolen needy. They disappeared at the beginning of the Third Age, and since then has not appeared. * Jim will not give or take quests, if you do not have gloves Ball Molagmera that it issues in the beginning. Do not lose them. Start revival Ball Molagmerov you have a quite simple task. Need to return the medallion of the traditional owners. Go to the estate Venim in Ald-under-Scar Rune. Medallion can be found in one of the rooms Premises Guardians peacefully lying on the chest. Give it Braynasu Hlervu (his home there in Ald- Rune, the most extreme south east of the Temple), and go back to Jim. The first task is executed. The next task is to find evidence of the corruption of the consul House Hlaalu Yingling Polutrollya. To do this will require financial Jim book Yingling. His estate is located in the Plaza District St. Olmes. If you took the quest House Hlaalu on infected rats in the basement Yingling (quest gives Adrina Areti, settlement Hlaalu belt), you already have the key, we can only take the book. If not, there will have to break, which, however, should not be difficult for the real thief. The main thing is to have enough sense not to talk about it with himself Polutrollem because he, though not far, but it is not a fool, and immediately destroy evidence. Another hitroodnomestnaya konsulsha Hlaalu - Veland Oman - trying to get the land gotten a poor widow. She placed a forged certificate to the ground in the Library of Vivec. You should find it (the document lies on one of the shelves in the back of the library, covered book - be careful) and deliver the legitimate owner - Indrel Ratrion in Seyda Neen. Return to Jim only when it will pass the document. One of the brothers in the guild made a serious mistake by stealing the Eternal Sentinel Salina Sareti in Ghost Gate is very expensive to dagger, presented by Vivek - Eneymor. Jim wants to wash away the stain with the reputation of the Thieves Guild, so you will be instructed to deliver a dagger in place, together with an explanatory note from the Guild. Go to the Ghost Gate Tower in the Sunset, ground floor. There quarters Sareti find his behalf chest, and where should it all quietly put. Make sure that this is the chest before vozvraschatsya to Stacy. Now Jim asks you to steal the ring from the famous slave Bralliona in Sadr Sea (you'll find it in the diner at the Lights). You can actually steal the ring, and can be negotiated with the owner and get it in exchange for a small amount of money. Anyway, the ring must get to the abolitionist ilmenite Dren, daughter of the Duke Dren Vedas. Only then come back to the boss with the report. The next step will be Ball Molagmerov education of the masses due to corrupt officials Caldera. Steal 4 nominal volume history of the Empire Odrasa Helvi in ​​the Hall of the Government in the caldera (they lie in his chest in the next room) and take them priestess Vale Katrasev in the Mages Guild Ald-Rune. The last task - to restore justice in the temple district Vivek. Danso Indules, honest, but poor priestess, subject to constant attacks by the intern. Jim asks you to steal from the office Burela Salah in the Hall of Justice dvemerskiy large cup and give it to dance, so she was able to use the proceeds for his money as it sees fit. I do not teach you, colleague. Grab the same cup and ran to the priestess - it sells potions in front of the High Council. Just do not tell her, whose cup is, if you really want it to took it.